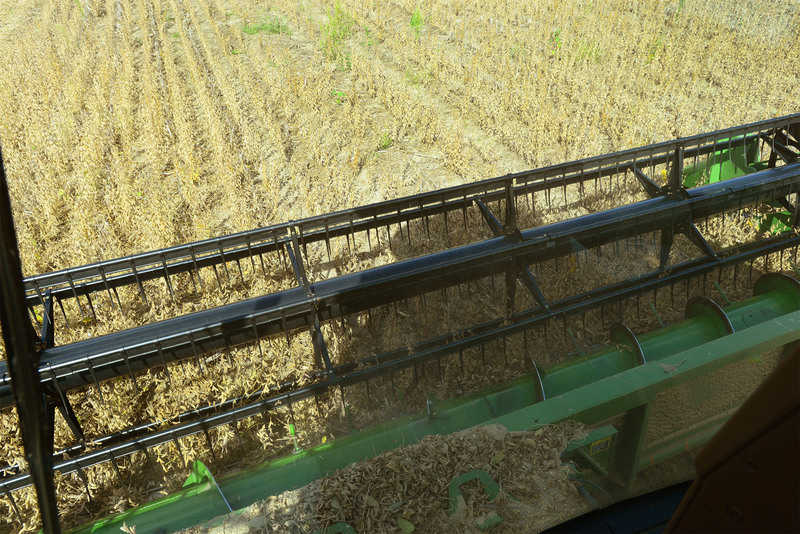 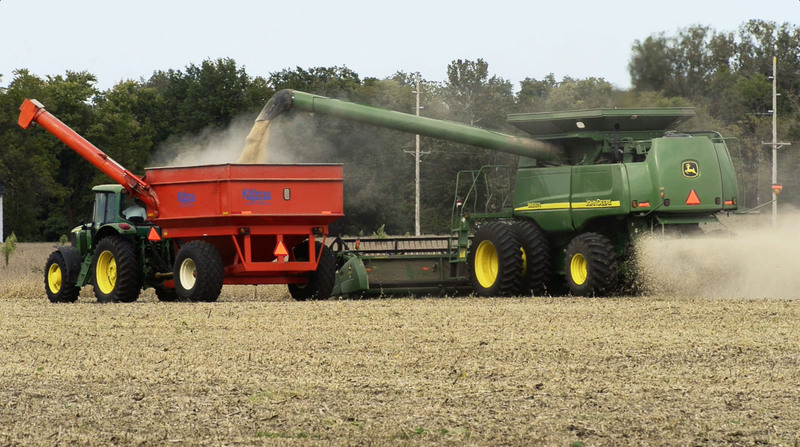 A combine harvests soybeans at Roger Wise’s Ballville Township farm on Oct. 7. 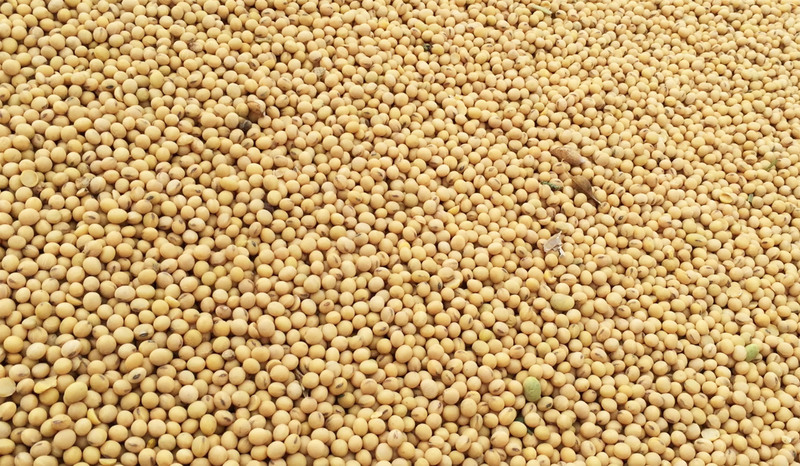 Wise said his soybean yields were not as high as he would have liked, due to rainy weather conditions earlier in the season. 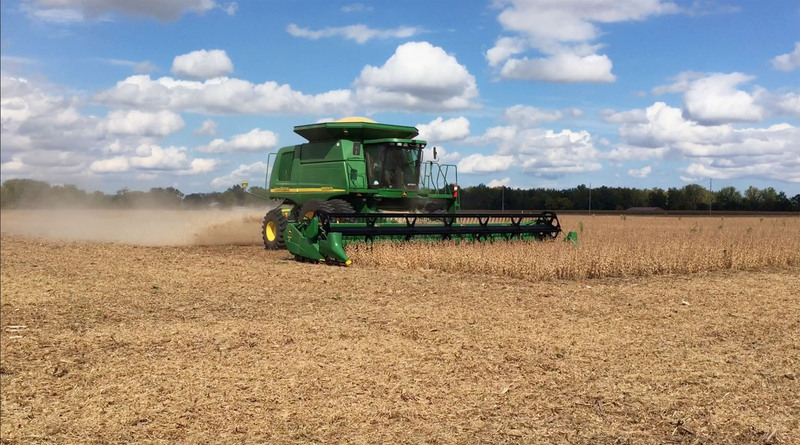 John Timmons drives the combine down rows of Wise’s field. 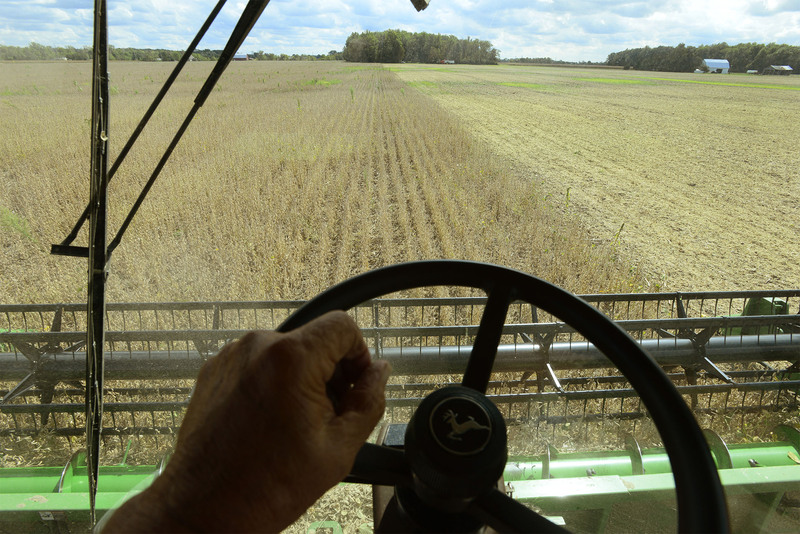 The cutter bar, the reel spinning around, cuts the soybeans from the Ballville Township field. 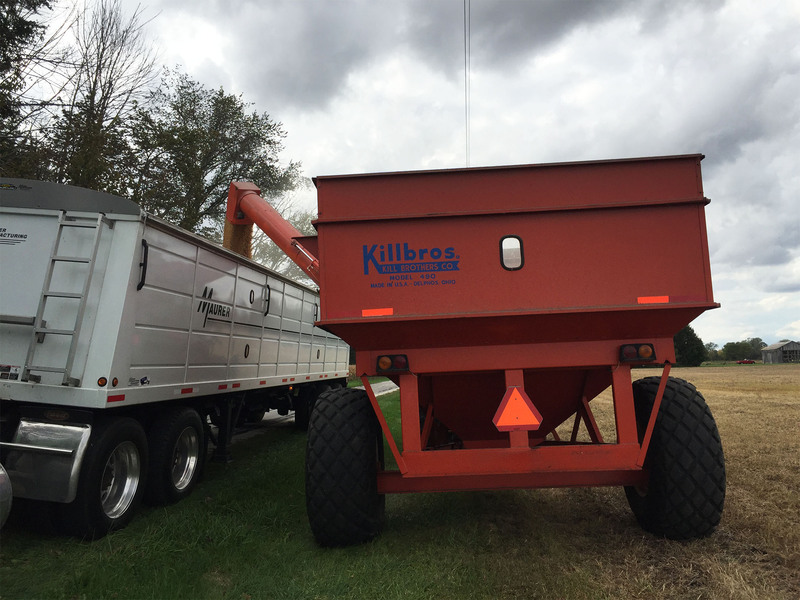 A tractor with a trailer on the back pulls alongside the combine. 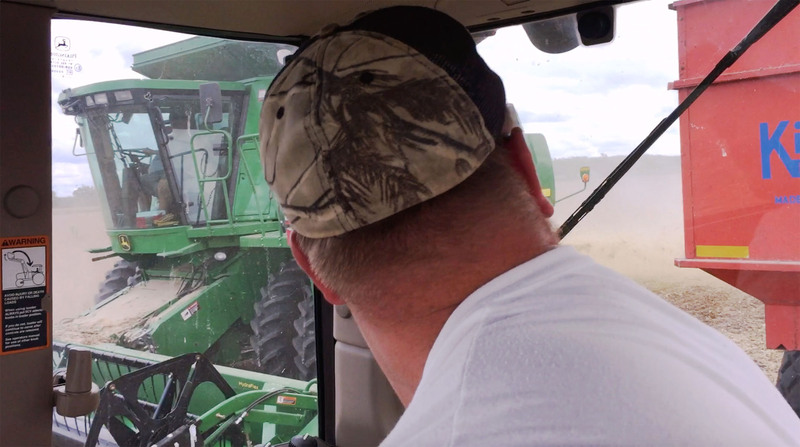 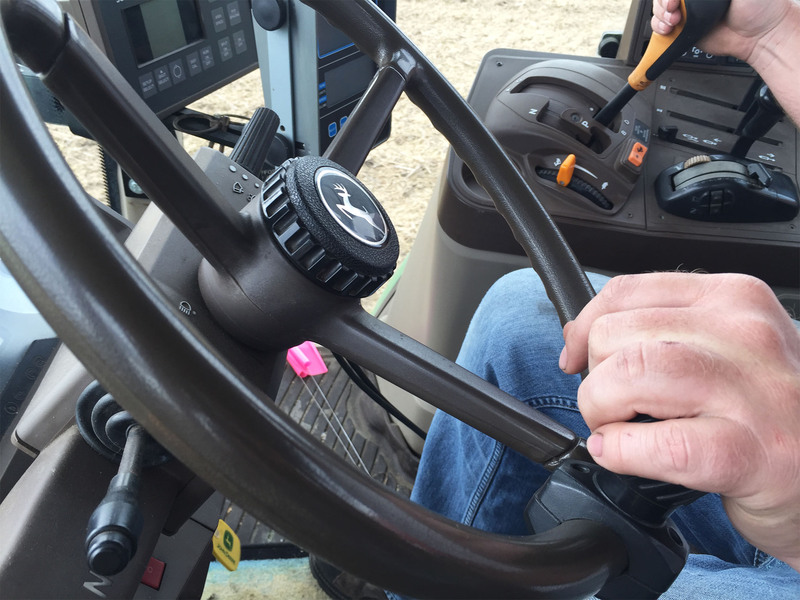 Farmhand Lee Schultz of Fremont drives the tractor with a trailer on the back alongside the combine. 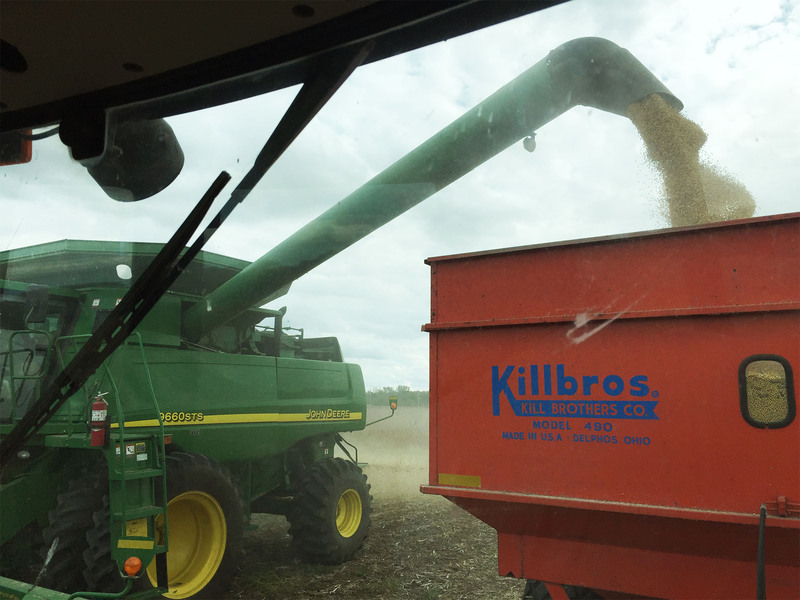 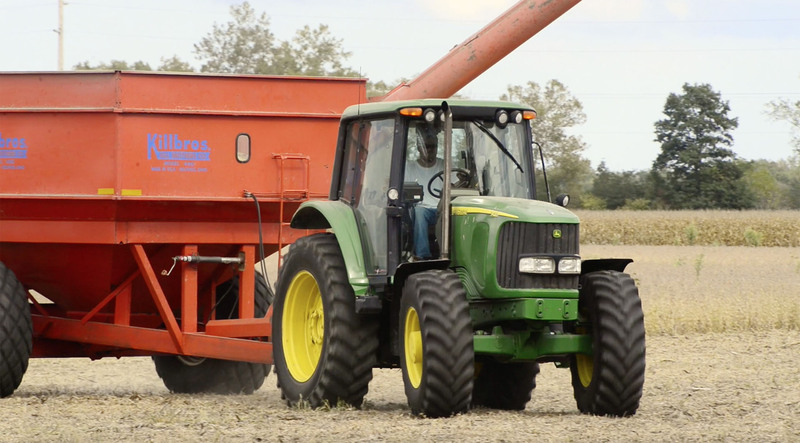 Soybeans are unloaded from the combine harvester into a trailer. 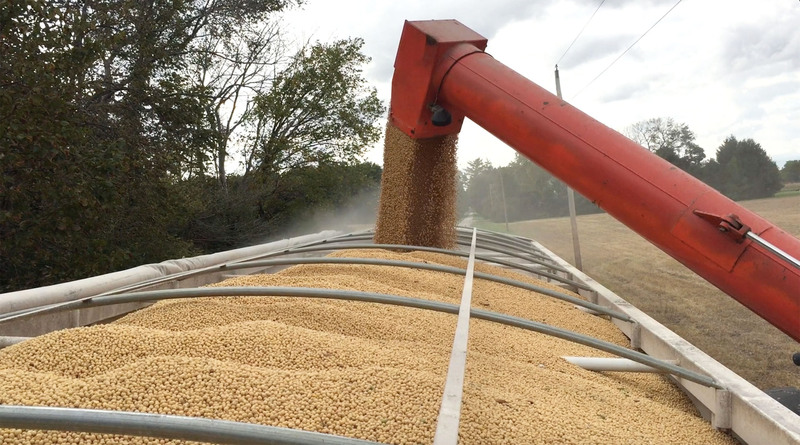 The soybeans are loaded from the trailer into a truck, to be taken to grain elevators to be stored. 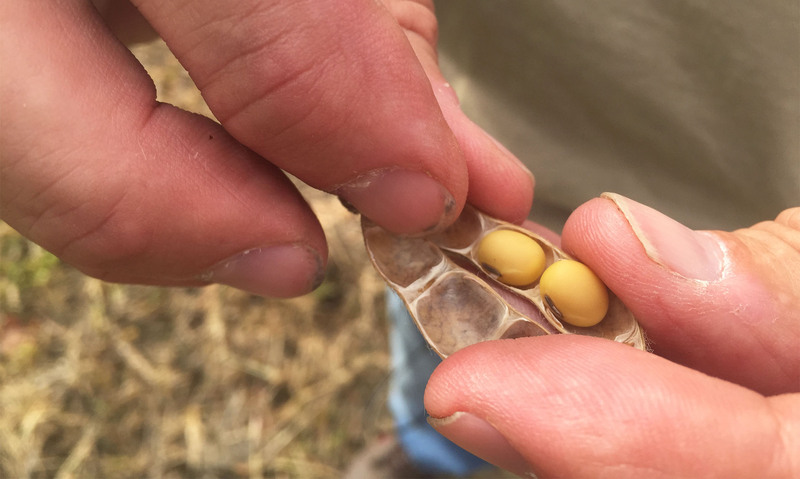 Roger Wise checks with farmhand Lee Schultz about the progress of the harvest. 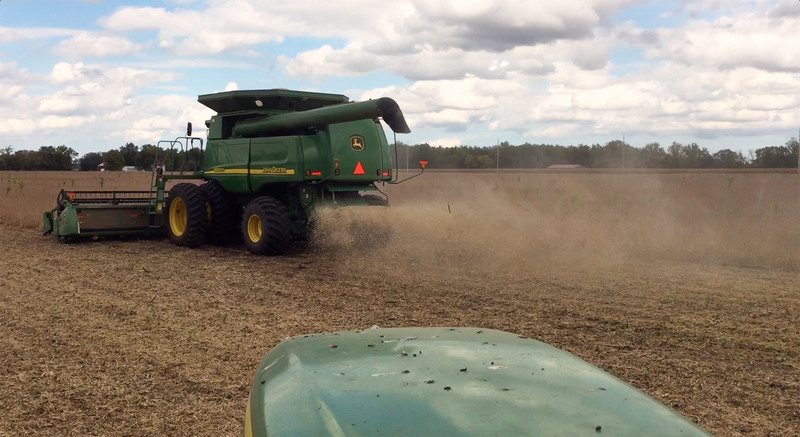 Roger Wise tastes the soybeans in his field he is harvesting. 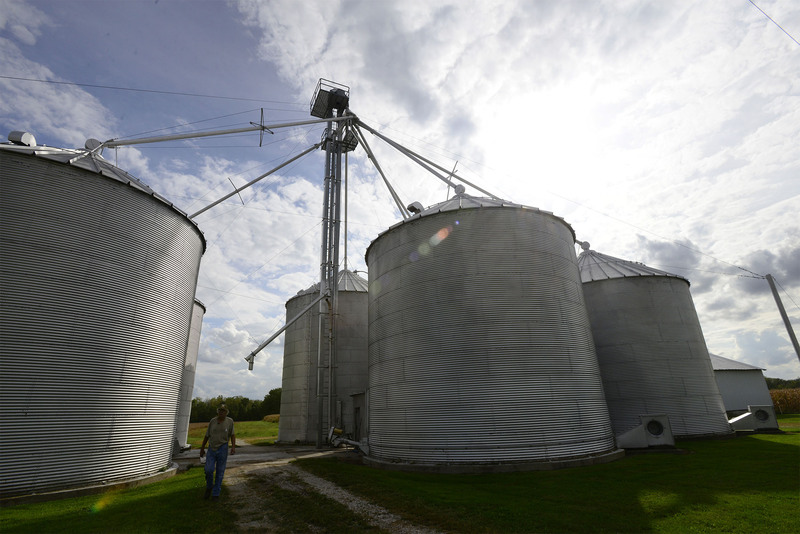 Roger wise stores the soybeans in his grain elevators after the harvest, preparing them to be sold. 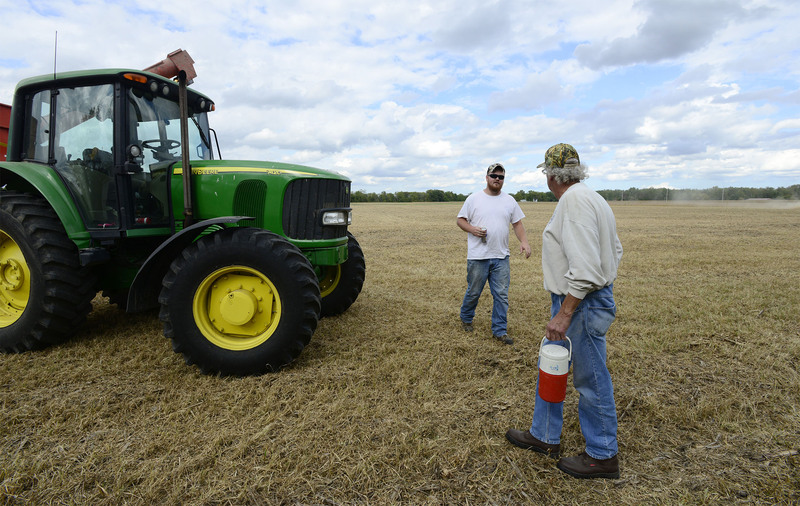 Some farmers in Sandusky County have suffered crop losses due to heavy rains and flooding in May and June.